A trade mark is described in the Trade Marks Act 1995 (Cth) (the ‘Act’) as a “sign” which is used to distinguish one person’s or business’ goods or services provided in the course or trade from another person’s or business’ goods or services. In plain language, a trade mark is a sign which alerts consumers that products or services belong to a particular person or company. As such, the sign acts as a badge by which a company can build its reputation or brand. Which symbol can I use when I have a trade mark? The ™ symbol can be used for both registered and unregistered trade marks of a business. The ® symbol can only be used if your trade mark has been approved and registered by IP Australia. Note – you cannot use the ® symbol if your application is still awaiting an outcome. What can you trade mark? Famous sound trade marks include the four notes making up the Mockingjay whistle from the Hunger Games franchise, the ticking clock on the television series 60 Minutes and even Darth Vader’s breathing from Star Wars. Famous shape trade marks include Kit Kat’s four-fingered chocolate bar (registered in Australia but recently rejected registration in the United Kingdom), while in the United Kingdom, Play-Doh is attempting to trade mark its signature scent. You have the choice of 45 classes to register your trade mark under. These classes specify which categories of goods or services you want your trade mark to protect. Your trade mark will only be protected in the classes you register against. You might want to cover as broad an area as possible by choosing multiple classes, but keep in mind you do have to pay a fee for each class you register, so it’s important to choose carefully. An example classification search. This IP Australia classification search tool helps you find which classes are relevant for your organisation. An experienced lawyer can really help you here, as they’ll be able to help you work out which classes you’ll need to register against to make sure your brand is properly protected. What does a trade mark registration protect you from? In a nutshell, trade mark registration protects your business from people who want to ride on the coattails of your success. This usually occurs when a second business mimics your logo, name or other trade mark so that customers think the two entities are related. Thus, because of the reputation attached to your business, customers buy from the second business. This undercuts your business – especially when you’ve invested time and money into building your brand and customer base. For example, in the case of Clipsal Australia Pty Ltd v Clipso Electrical Pty Ltd, the court held that Clipso Electrical Pty Ltd had deliberately chosen to use a similar name to Clipsal Australia Pty Ltd in the electrical switches industry to profit from Clipsal’s brand and success. Misled, customers began purchasing products from Clipso instead of Clipsal. While there are other avenues to challenge the infringement of an unregistered trade mark at common law and under the Australian Consumer Law, trade mark registration under the Act provides businesses with greater protection and the ability to more easily enforce rights against an infringing party. Protection of your business name. Registration process can be costly. Adds to brand’s reputation/credibility. Trade mark requires renewal every 10 years. Registration gives an automatic right of action if trade mark is breached. (There’s no need to try and prove a breach under the common law – which can be difficult). Automatic right of action is only in relation to the classes which your trade mark is registered. e.g. if you’ve registered under Class 15 – Musical Instruments, you can only bring a claim if trade mark was breached in this specific class. Thorough registration will make this an unlikely issue. Builds brand loyalty and pride. Business name will be available on the trade mark register, meaning others will be alerted to your trade mark so as to prevent infringement. Provides security for your brand on social media. Social media platforms have procedures in place to protect against abuse. In order to register your trade mark it must first be distinctive and not be deceptively similar to other marks. Step one in any trade mark registration involves searching the Australian Trade Mark Search through IP Australia to ensure your trade mark is not identical to someone else’s. It is important to flag any potential marks which could conflict with yours in the same class in which your business’ mark is registered. The next step is to apply for registration and pay the IP Australia fees. After this, an examiner from IP Australia will assess the trade mark application. If there are any issues, an examiner will forward you an Examiner’s Report; if there are not any problems you will be notified in writing and the trade mark will be entered in the Australian Official Journal of Trade Marks.After this time there will be a two month period in which other parties can oppose your trade mark. The trade mark registration will last for 10 years at which point you can renew. When a lawyer is doing the groundwork, you’ll avoid basic errors which might put your brand at risk. You won’t waste money on failed applications, and your trade mark will be properly protected. It’s easy miss similar or identical marks when you’re checking to see if there are conflicting trade marks. If you miss them, your money will go down the drain – as you have to pay every time you submit an application, even if it fails. An intellectual property (IP) lawyer will have experience running successful searches – so will save you from making this common mistake. If your trade mark isn’t registered in the correct class, you won’t be safe from infringement. A lawyer will check you’re registering for the right classes and have the protection you need – and making sure you’re not wasting money on classes you don’t need to register for. If IP Australia give you an Adverse Examiners report (when your application isn’t acceptable), a lawyer will submit a careful and complete response – so your brand stays safe. By having your IP lawyer on your application, they’ll be alerted as soon as there’s an issue flagged with any trade mark you apply for or hold. This double-safety mechanism will keep your brand safe. Just because your trade mark has been “accepted” doesn’t mean you’re home and dry. Competitors will have two months to lodge an opposition to your trade mark application – so it’s valuable to have a lawyer on hand to make sure you respond to any opposition – and don’t lose your trade mark. 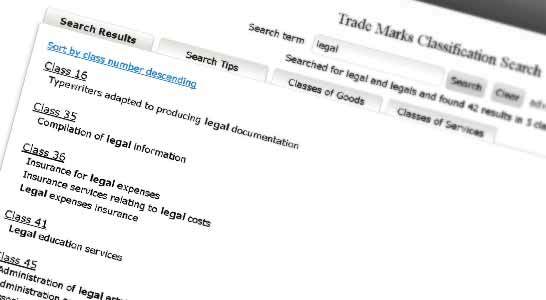 What are the ongoing costs of having a trade mark? $250 – $330 per class*. $400 – $450 per class*. *These figures are current as of July 2017. There are two ways to register your trade mark internationally: by making an application in each country, or by filing an international application through the World Intellectual Property Organization (WIPO) by virtue of the Madrid Protocol. The Madrid Protocol application is only one application, and allows you to register a trade mark in selected countries which are party to the protocol. IP Australia will accept Madrid Protocol trade mark applications through its online eservices portal. Want to speak to an experienced intellectual property lawyer? Making sure your IP is protected can be stressful. If you want to make sure you’re protected – whether in successfully registering your trade mark, disputing a trade mark filing or enforcing your rights when your intellectual property has been infringed, we can help.